Google has acknowledged the issue and its cause, with a fix expected to be rolling out tomorrow via a Google Play services update. Hopefully that takes care of things. You might recall a few months ago when the Nexus Player started knocking WiFi networks offline following an update. Now, it looks like something similar is happening with the Google Home Max. Owners of the TP-Link Archer C7 report consistent issues with network crashes when a Home Max is online—Google and TP-Link are on the case. 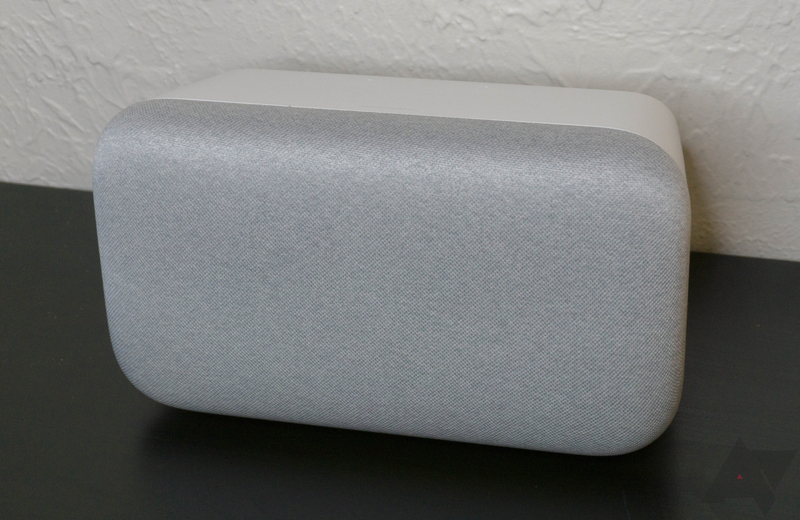 According to the Google Product Forums, the problem crops up as soon as a Home Max is added to a network powered by the Archer C7. It's a weirdly specific bug, but TP-Link has reportedly pointed the finger at so-called MDNS packets that keep a live connection with Cast devices. That's what Google blamed for the issues with the Nexus Player. Instead of sending these packets in 20-second intervals, the Home Max is apparently spamming thousands of them and overloading the router. It's not clear why the TP-Link router is the only one affected, but it's possible there are others that just haven't been reported. The Archer C7 just happens to be a very popular router. If you're affected, you can help Google track down the issue by submitting feedback from the Google Home app with the keywords "GHT3 - Unable to setup Max to network." It looks like there's a beta firmware for the Archer C7 that should solve the problems. Google's Home team says they have not received any complaints from people who were on the updated firmware. Additionally, this same issue may crop up for users of other Home devices and even the Chromecast. If you're having problems with that router, give the beta a shot. We're now getting reports (in our comments and via Reddit) of other routers and Cast-enabled devices having these same issues. Owners of different TP-Link routers as well as routers from Linksys and Synology have also noticed similar network crashes. The less expensive Google Home devices, and even the Chromecast dongle also appear to be causing network issues. This is starting to look more like a problem on Google's end. We've reached out to Google and will report back when we have more info.